If you are looking to purchase a property you may wish to instruct a survey, to determine the condition of the property you are planning to buy. There are several types of surveys available to home buyers. If you are in any doubt over which to choose, it is best to speak with a reputable and qualified surveyor to find out exactly what is inspected or tested in each report and discuss any specific areas that you wish to be checked. However, please read our short guide outlining the type of checks a property survey can include. A property survey can be used to identify any areas of structural concern including serious defects such as damp, rot and subsidence. It is important to identity any major flaws in the property prior to exchanging contracts, so you can determine the cost and implications of any necessary repairs. Should any potential issues arise, you can then make an informed decision on the property. Surveys can also include a professional market valuation. This can help you to establish if the property you are buying is worth the amount of money you are paying for it. If the property has been valued at less than the asking price for example, you may wish to revise your offer. A surveyor can advise of any additional areas requiring maintenance. This can range from advising that the guttering needs clearing to recommending that additional insulation is added into your loft. This can offer a useful insight into the level of maintenance you would need to undertake should you choose to proceed. 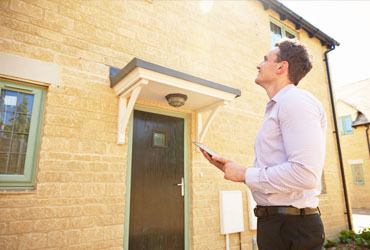 We hope this has provided a useful insight into what you can expect from a property survey. Why not check out our previous blogs on How to Prepare your Home for Viewing and A Guide to First Time Home Buying.